Let’s cut to the chase. 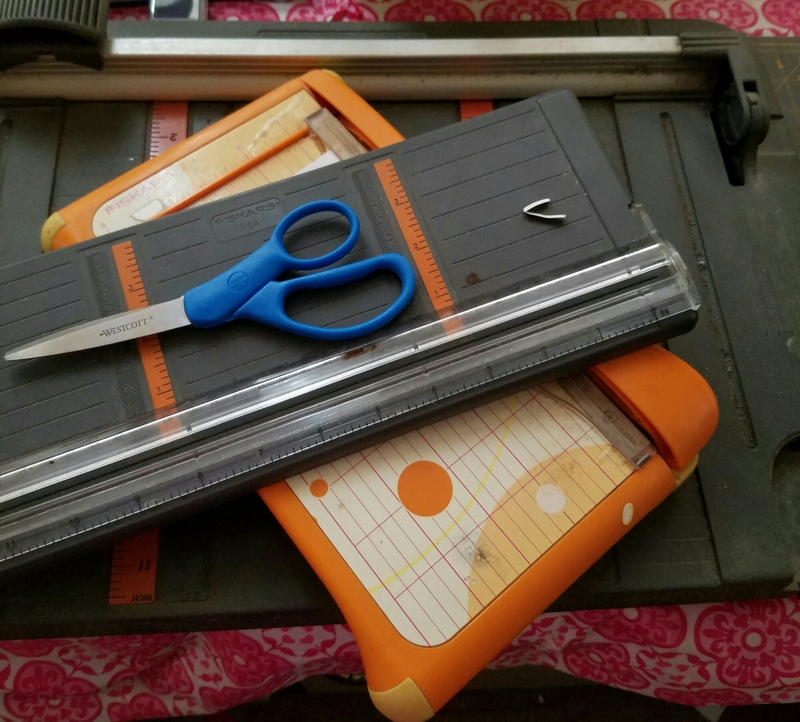 You don’t have to be a lifelong crafter to know that a good paper cutter can make the creative process simpler, more precise and more enjoyable! The 9″ Bypass Paper Trimmer by Fiskars is just what you need to crop your family photos or trim your paper for your traditional layouts. Cut up to 5 sheets of paper with no fanning, shredding or fingerprints. This trimmer is lightweight and about 11 ½” long. It has rubber slip-proof feet so it won’t slip or slide. It comes with a clear plastic film to protect the grid, which consists of measurements in increments as small as 1/16th of an inch and has a “finger guard” to hold photos and paper in place without risking fingerprints. The crystal clear smudge guard lets you hold things in place for complete accuracy without getting messy fingerprints on your photos or printouts. The 12″ Portable Craft Blade Trimmer by Fisker a spring-action track and a premium blade that ensures smooth, accurate and precise cuts. The extendable arm makes it easy to cut paper up to 12″ x 12″ and 400 gsm. The trimmer has a slip-resistant base and a ruler with marks for both inches and centimeters. The trimmer comes with a replacement snap-in scoring blade. Ease of cutting. You want to have the same kind of sensation as when you put a knife to butter. Scissors should cut through smoothly and cleanly. Ease of holding. It’s ideal to have a pair of scissors that feels like it’s made for your hands. If they’re comfortable to hold and easy to control, scissors become an extension of yourself (in a weird Edward Scissorhands type of way). Ergonomics. For those long projects where you’re constantly cutting, the ergonomics of a pair of scissors is important. If your hand tires quickly or is often strained and cramped, it’s time to switch scissors! Blade length. Some people like longer blades as it takes less work to cut through something long (like wrapping paper). Others prefer shorter blades, so they can see more clearly what they are cutting for better precision and control.